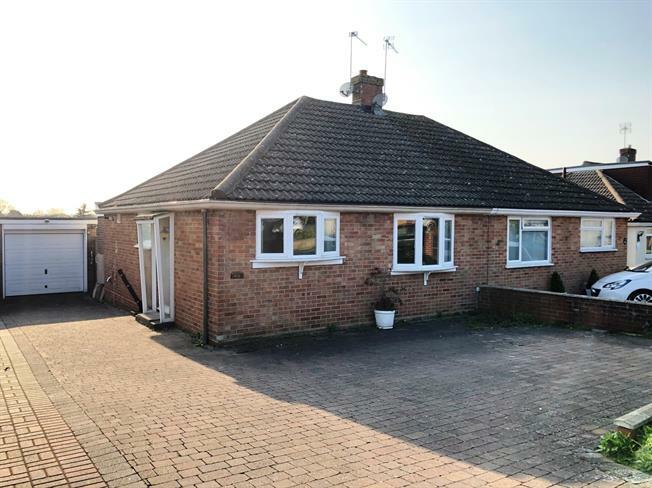 2 Bedroom Semi Detached Bungalow For Sale in Basingstoke for Guide Price £290,000. Ideally situated on The Berg estate and pleasantly surrounded by other bungalows. This property comprises of an entrance hall leading to a spacious lounge, fitted kitchen, extension which would serve well as a dining room/second reception room, a large master bedroom, a second double bedroom and family bathroom. Externally this property has a well sized garden with patio area with stairs leading down to the lawn. There is a single garage with side access and a driveway suitable for multiple vehicles. Further benefits include gas central heating and double glazing throughout.